Regional parklands, if properly maintained, add beauty to the area, encouraging new economic development and tourism. Open space also absorbs air pollutants and runoff. However, regional parklands doesn’t change quickly over time. In 1997, Washoe County had one maintenance person for every 20 acres of parklands, but those numbers have more than doubled. National standards at that time called for no more than 12 acres of developed park per maintenance staff person. 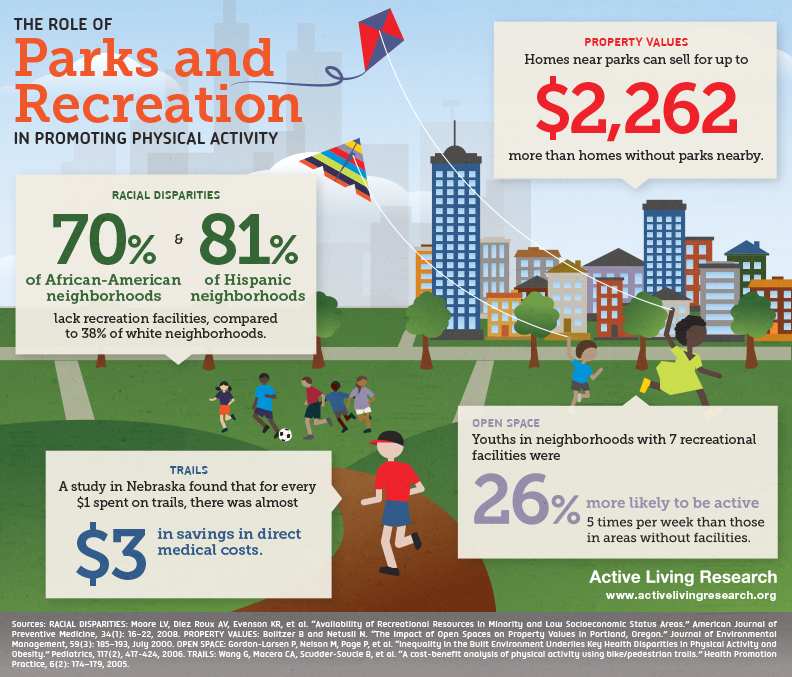 For more information that parks can increase exercise, while improving economic benefits for communities, visit Active Living’s infographic.